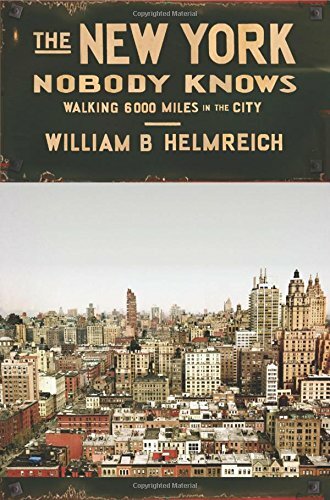 As a child growing up in Manhattan, William Helmreich played a game with his father called “Last Stop.” They would pick a subway line, ride it to its final destination, and explore the neighborhood. Decades later, his love for exploring the city is as strong as ever. Putting his feet to the test, he decided that the only way to truly understand New York was to walk virtually every block of all five boroughs–an astonishing 6,000 miles. His journey took him to every corner of Manhattan, Brooklyn, Queens, the Bronx, and Staten Island. Helmreich spoke with hundreds of New Yorkers from every part of the globe and all walks of life. He finds that to be a New Yorker is to struggle to understand the place and to make a life that is as highly local as it is dynamically cosmopolitan. Truly unforgettable, The New York Nobody Knows will forever change how you view the world’s greatest city.